5. Who Found a Lost Rose in the Warship? Part 4: Leave the World! Masaki Batoh Vocal, Acoustic Guitar, Hurdy Gurdy, Banjo, etc. Kazuo Ogino Piano, Oscilator, Recorder, Lute, etc. 18. Who Found a Lost Rose in the Worship? At sunset on the night of October 9th, 2006, a crowd gathered at Nippon Yusen Soko, a converted warehouse space located on Yokahama Bay. Their purpose: to see and hear new music played by Ghost. Once they had completely arrived, the doors were shut and locked and the announcement made: no one would enter or exit the space until the performance was complete. Starting in complete darkness, the performance was spun, like yarn from a cocoon. The set for this evening was not just new to the audience. For this event, Ghost played entirely improvised material. 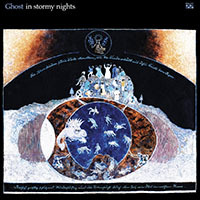 Improvisation is the wellspring of creation for Ghost, both live and in the studio, though they've never made an entire album of improvisations until now. In order to not miss a single inspiration, Ghost brought their orchestra's-worth of instrumentation, playing bass, drums, piano, electric and acoustic guitars, saxophones, flute, tin-whistle, bells, frame drums, lute, tabla-baya, waterphone and even tapes! The performance space was chosen for its sonic qualities such as natural reverb as well as its resemblance to Potala Palace in Lhasa ^ an ancient meditation retreat. Band members were spaced apart to prevent eye contact and allow distance for the reverberations to unfold between them ^ which in turn, were recorded by four microphones spaced distantly from the band and faced toward the walls, in order to catch the sound in the room with the audience present as well as the echo of that sound. The CD performance is an edited version of the evening's events ^ but the DVD is a completely live, four-camera view into the collective journey of Ghost and their audience. In addition to the sounds and sights of the band in action, the viewer will also experience the atmospheres created by Overheads, whose far-ranging light works (and subtle placement of a lace curtain) enhanced the mood within Nippor Usen Soko that night. Ghost's music has always been projected into the universe and eternity ^ and with Overture, it has been captured, in distinct aural and visual versions for our immortal witness. 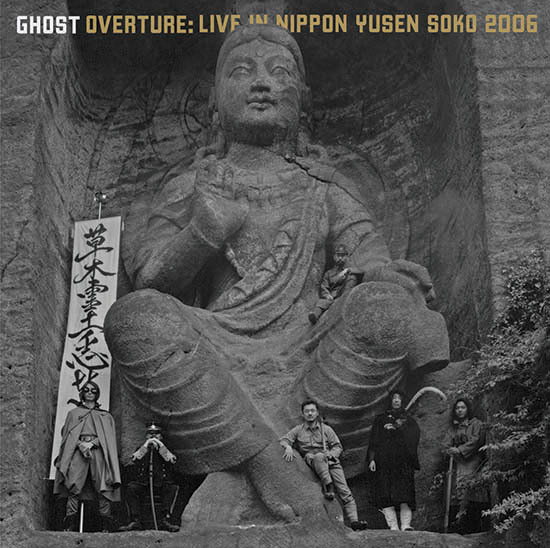 - Overture is a two-disc (CD and DVD) package featuring all-new music from Japan's Ghost. 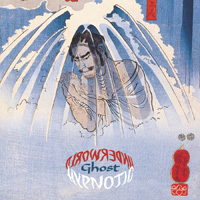 - Following their new studio album In Stormy Nights earlier in 2007, Overture brings Ghost's living spirit of improvisation to this multimedia release. - Overture is the third Ghost live document ^ Temple Stone LP/CD (now OOP) and the CD/DVD Metamorphosis. Ghost live is something Ghost in the studio can never be. - We invite you to compare and contrast the crafty edited CD version from Ghost's. longtime producer Taihi Takizawa with the utterly live DVD version. Both are the same performance! - The live sound of Ghost is a singular craft. Ghost have only played a single tour in Europe and won't return to America until the people change their course, but Overture provides at-home sounds and visions until that time. - Overture is unique entertainment that we will rally support for in the pages of international publications and entertainment centers. - Overture will be sent to all concerned retailers ^ state your concern!